Gossip Stone: Would You Like To See Time Travel Return? 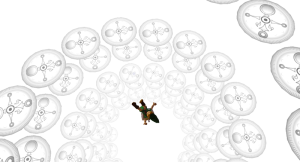 In Ocarina of Time, the main mechanic of the game was that it allowed you to go 7 years into the future and back, in order to become either a child or adult to solve specific puzzles throughout Hyrule. And in Majora’s Mask, you have a three-day timer over your heads the entire game. The choice is yours to go back to the first day, though it’s highly suggested (seeing as you won’t get very far without going back). Both of these games featured one similar mechanic; Time Travel. And that’s what this Gossip Stone is about. If you’d like to read further into it, don’t hesitate to hit the jump! Let’s start with Ocarina of Time- Link starts out as a child thrown into the midst of a dangerous journey. After three dungeons total, Link returns to the Temple of Time with three spiritual stones and the Ocarina of Time, allowing him to open the Door of Time. Once opened, he’s able to obtain the Master Sword. Once Link pulls the Master Sword out of its pedestal, he’s thrown 7 years into the future, as an adult. And that’s where the rest of the game takes place- however, Child Link isn’t done yet. 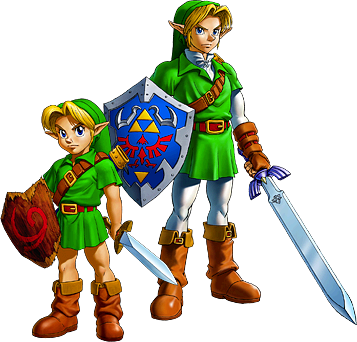 There are various puzzles that require both child and adult Link to complete (refer to the Spirit Temple). 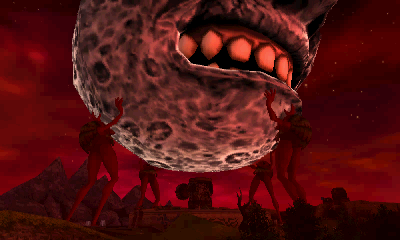 In Majora’s Mask, the game sets Link in Clock Town, the capital of Termina. When in Termina, the player has a Three-Day Timer for Link to accomplish anything and everything he possibly can, before having to send him back to the First Day. This is the Time Travel mechanic for Majora’s Mask. When going back to the First Day, you will lose consumable items (you can however put rupees in the bank to save them), but any masks or items obtained in dungeons will stay with Link. This mechanic makes every goal in the player’s head a race with the clock, which adds a whole new fresh feel to a Zelda title. And even in Oracle of Ages you’ll find Time Travel. Link is required to use the Harp of Ages in order to go to the past or present when the time calls for it- so, with these games in mind and what they have to offer in Time Travel, what are your thoughts? Would you like to see one of these mechanics return in a newer Zelda title, or maybe even a brand new time travel mechanic? Perhaps you weren’t fond of time travel to begin with? And while I’m on the topic of mechanics, what are your desires for Zelda U’s mechanics? If you have any thoughts or opinions, don’t be afraid to sound off in the comments!